The Kennedy football team (League: 3-1, Overall: 5-4) had their three-game winning streak snapped after a blowout (away) loss against Monterey Trail High School on October 5th (League: 4-0, Overall: 9-0), marking the first losing game in which Kennedy has failed to score a single touchdown in this season. 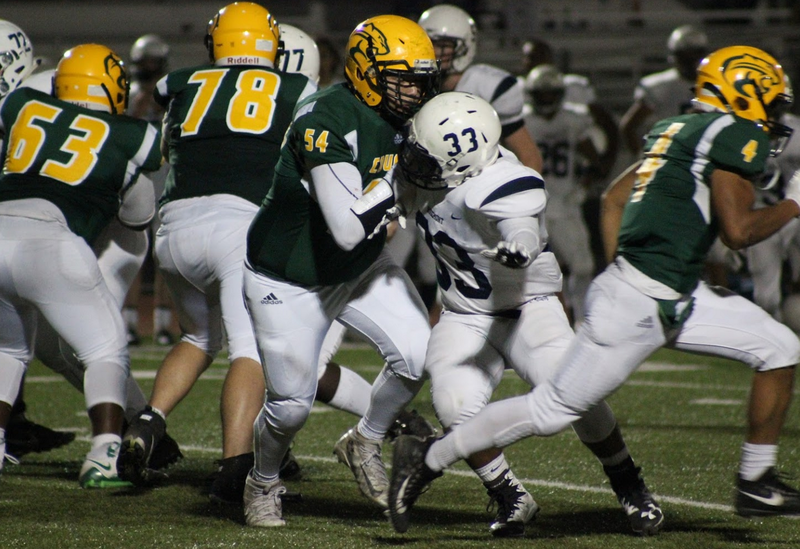 The game served as a rude awakening from the previous week’s win over McClatchy in the annual (home) “Hell Bowl” rival game. With only three games left before the season closes, and a revamped league with new teams, expectations to make the playoffs during the postseason are looking pretty high and are a contrast to the grim reminder of the previous season’s record (3-7). With the departure of last year’s core players: London Brown, Jaden Cummings, Zavionne Wilson, Taevion Massey, and E’zekiel Williams, the remaining players had to adjust to the new team roster as Kennedy began to rebuild its varsity team. When asked about the team’s chemistry Cristian Johnson (Sr, Wide Receiver) remarked, “it’s definitely better this season than last year.”, and went on to praise Marcel Calvin (Sr, Runningback) for stepping up his role as a leader for the other players. Calvin, who has been with the team since his freshman year has turned from one of the players listening to the pre-game speeches, to the one giving them, all the while growing as a player and a leader on and off the field. “Cristian (Johnson) and Julian (Williams: Sr, Lineman) have been great examples to the team as well, added veteran player Floyd Vargas (Sr, Linebacker) “They’ve been leaders since the start of the season in the weightroom, Julian even went to practices despite his injuries. Overall, our teamwork and chemistry were great this season, everyone was pushing each other to do better.” His concluding advice for returning players next season was to “stay focused in the weightroom and on the field, and make sure to keep your grades up so you can stay eligible to play”. 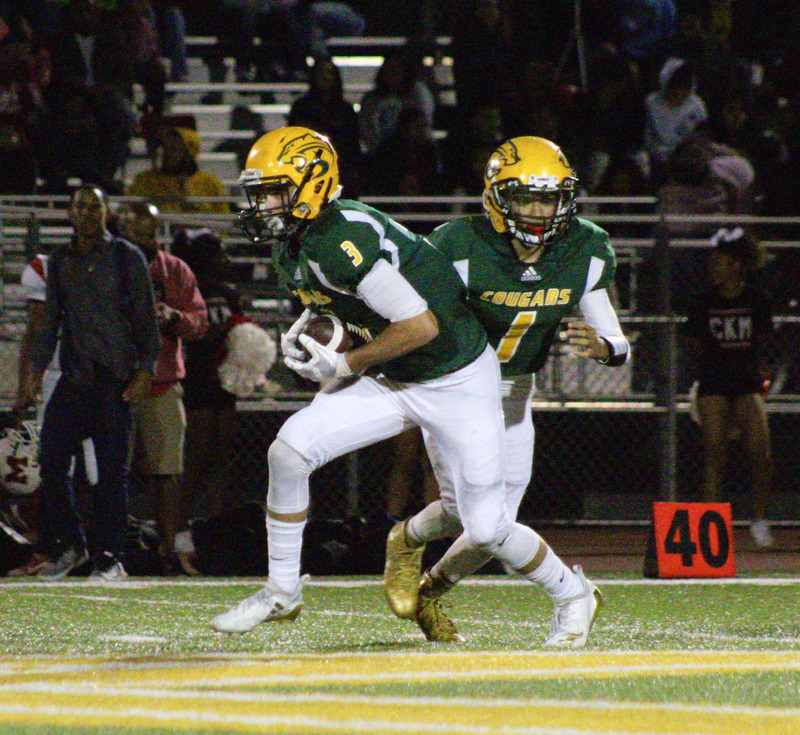 Despite our fluctuating record this year, there have been numerous seasons in the past where Kennedy has suffered records far worse, such as the 2012-2013 season, where the Cougars failed to win a single game, and the breakout 2015-2016 season where varsity placed third in the Metro League. There have been blowout games and dominating wins, clutch victories and close losses, celebrations and field brawls. However, despite what has happened in previous seasons the players have continued to strive for improvement. With the future of the team resting in the hands of up and coming players such as the likes of quarterbacks Jeffrey Osborne and Jacob Modellas, wide receiver Nick Mcdonald, and running-back Kywan Cook, there is a high expectation for the varsity team’s success next season. Free AP Tests for You! And You! And You!